I met a lovely friend on the trail today. Clearly she did not want me to pass, so I respectfully turned around. 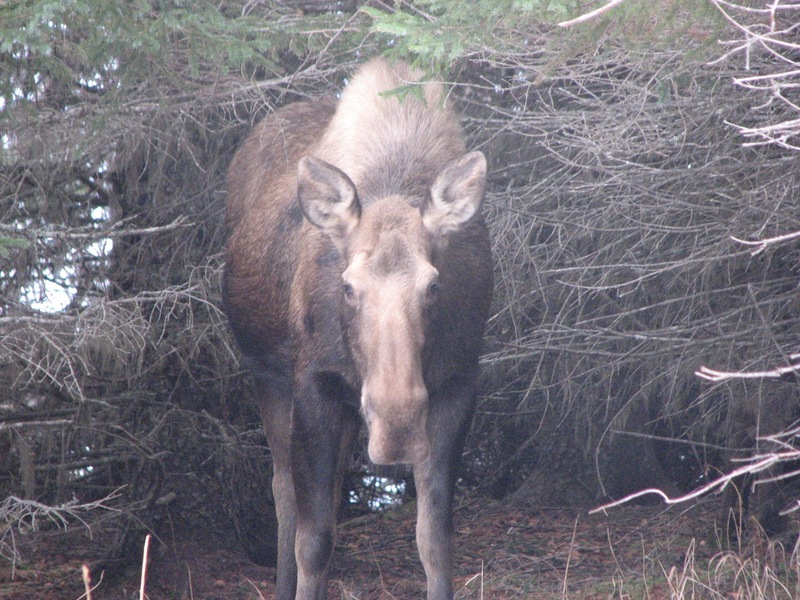 Moose can be dangerous to people who get in their space as they have a very powerful kick. When their ears go back, it is a clear sign that they are agitated and it is a good plan to go the other way. In my experience, it is ok to run if you need to as it does not trigger a predatory instinct in moose like it does with bears. Mama moose are amazingly powerful and fiercely protective of their young ones. I have witnessed a mother moose take on a bear in defense of her calf.